Hong Kong just might be the most photogenic city I've been to, and it's certainly one of my favorites. From its condensed skyline of modern skyscrapers and sky bars giving panoramic neon views to the rusted cart pushers, outdoor food markets and alley-side eateries below them, there was never a dull moment in this buzzing city. On my first visit back in 2009, I had one thought in my mind: The Fifth Element. The city just had that vibe, especially the scene when the Chinese food vendor flies his old school boat back into the 23rd century cityscape. Lan Kwai Fong (LKF) is fun for bars, clubs, drinks on the street and watching street performances. Tian Tan Buddha - Riding gondolas on a windy day over the Tung Chung Bay and mountaintops leading up to it didn't work well for my fear of heights, but seeing the Buddha up close and some kung fu performances below were amazing. 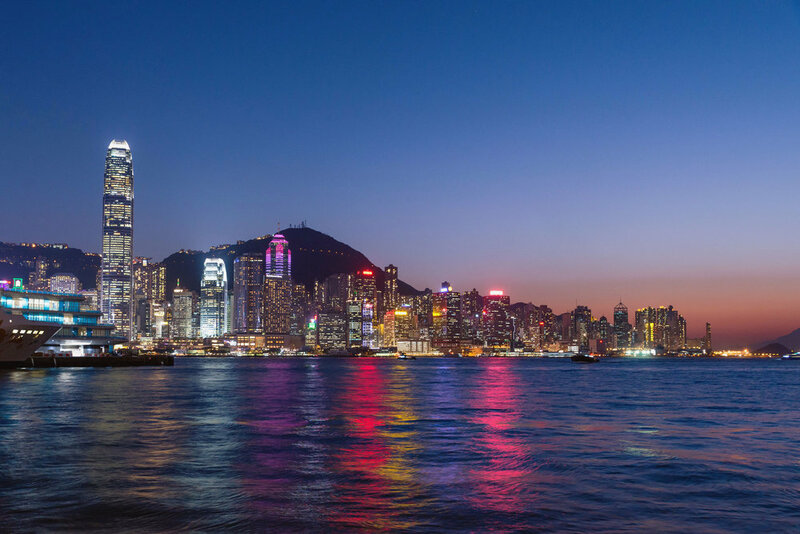 The Peak - It probably has the most famous view of Hong Kong as it gives a gorgeous, panoramic view of the city. Catching the tram from the bottom is pretty neat. I was told by resident Jess that heading down Lugard Road gives an even better view, so I'll have to do that next time. Temple Street night market - A busy night market full of anything and everything. There's some delicious food spots in the area, some with outdoor seating. I particularly loved the clams in black bean sauce at a couple places. Aqua - This slightly upscale bar high above Tsim Sha Tsui has an amazing view of Hong Kong to stare out and be in awe at. A Symphony of Lights - How impressive does a citywide light show sound? Hong Kong's skyscrapers put one on every night at 8PM, with music and everything. We watched it from the Avenue of Stars [map]. I ended up returning to Hong Kong on business twice in 2017. My team and I designed and put on an exhibit at Hong Kong's PMQ for a client. I had never heard of this place before but it's actually a worth checking out, especially for those who are into art and boutique fashion. PMQ is an old police quarters that was converted into an exhibit space for creators of all types. It's basically a mall full of pop-up type of shops displaying and selling work. Even Jessica Alba has stopped by. 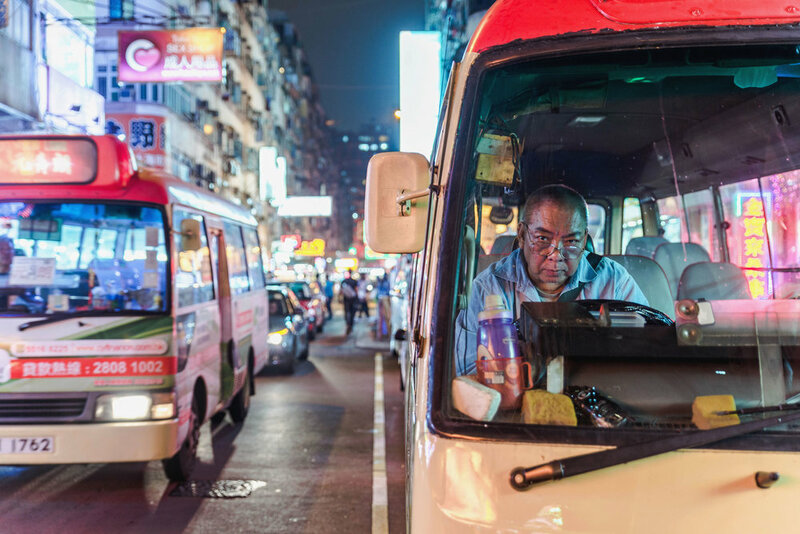 Through this work and with a little help from Instagram, I was able to get to know some cool people living in Hong Kong. We all happened to share the hobby of photography, and some were even kind enough to take my colleague and I out one night to show us some great photo spots around Jordan station. They take incredible photos: Jess (@jesso), Edward (@edwardkb), Jeremy (@rambler15), Candy (@flosslai), Varun (@vnthota), Susan (@shalalasusan) and Roger (@roger89). They each have their own unique styles, and it's interesting to see different takes and perspectives on Hong Kong and life there. Talented people with impressive accounts, I recommend checking them out. Hong Kong I learned, like most cities, has its fair share of struggles. One of the bigger, long term ones is political as it surrounds their relationship with China. I found that residents seem divided on the issue. Day-to-day, visible changes can be seen as well. One of these impacts any traveler who likes photography like me, which is the taking down of the city’s iconic neon signs. The dismantling will forever change Hong Kong's cityscape, and it is apparently happening at a rapid pace. Hong Kong is diverse as a city. To me, it's a blend of big city Tokyo, NYC grunge and a slight, exotic Southeast Asia vibe overlaid with modernity. It’s also extremely international - both China’s and the UK’s cultural influences are strongly felt, and there's people from all over the world on every street. Carrying a camera at all times was a must for me. There's so much to see and snap down low and up high, and the layers of the city produces some amazing lights and shadows, as well as unique angles to shoot from. A restaurant that puts a modern twist on traditional dishes like dim sum. They have a couple of locations, I went to the one in Central. They're best known for their cute BBQ Piggy Buns, but make sure to order others from their à la carte menu as it's got some choices full of flavor. Another place that I thought was similar was Social Place, between Central and Sheung Wan. A small, very local, outdoor eatery on a slanted space located on a street corner. As you could guess from their name, their desserts are their specialty, and their rice balls with sugar coconut sesame were delicious. They're warm, which caught me by surprise, but it has a familiar texture and taste if you've had Japanese mochi. Their food was just as simple yet tasty, like their stewed beef noodles. Worth a stop, especially if you're in the SoHo area. Delicious dim sum, unless you're also the type to order too much because everything looks good and end up overeating. That was us. Everything is good, but standouts were the crab roe shumai (first photo) and mango mochi (second photo). It's like a perfect good college student's meal. This place was recommended to me by @geekyrizki on Instagram and is a nice little fast food spot. There's a couple locations, I went to the one in Wan Chai. It's as simple as can be: Instant ramen noodles, sliced grilled pork, a sunny side up egg with cheese sauce over everything. 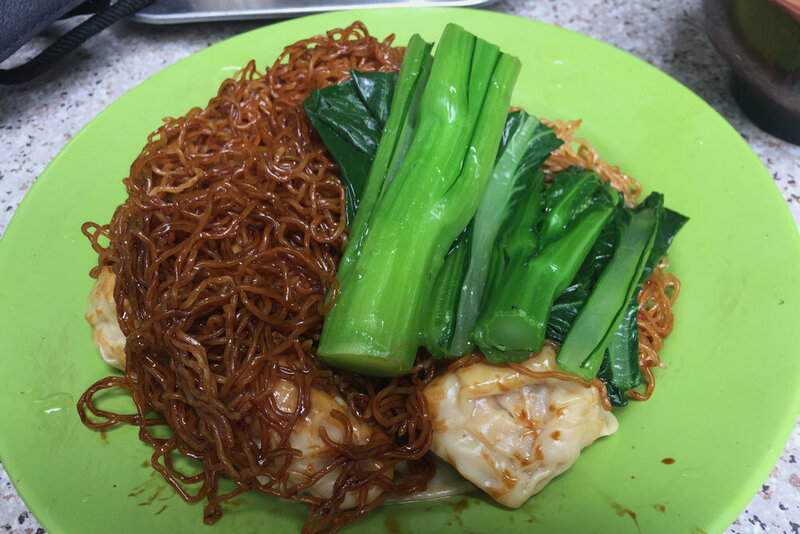 Paired with their Hong Kong milk tea, it's a nice, quick, cheap, local meal to fill up on. Maybe the most photogenic city in the world, Hong Kong is also a favorite of mine. A visit to Ubud, with its beautiful scenery and genuine people, will be an amazing and unforgettable experience. A resort area where tourist life often intertwines with local life. Very international, Singapore is full of culture, food and architecture to explore. A day exploring locals and their lives on the Mekong River. A bustling city that mixes history with modern. It's easy to see why Ha Long Bay is a UNESCO World Heritage site and one of the most popular go-to spots in Vietnam. A city with an authentic feel that beats expectations and leaves you wishing for more time there. A few nights to explore the city of Taipei and the nearby mountain town of Jiufen. A quick trip to Shanghai, China, for the World Expo 2010. A vacay down south to Phuket and Koh Phi Phi, Thailand.